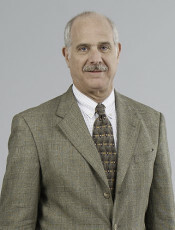 Robert Scavone has extensive international experience in the cargo transportation industry. He currently provides advisory and management consulting services to a variety of clients including Deutsche Bank’s $2 billion Maher Terminals investment, with terminals in the Port of New York.New Jersey and Prince Rupert, Canada. He is also a Senior Advisor to Mercator International LLC, a transport and logistics consulting cargo, providing strategic planning, business planning and other services to terminal operators, investors, port authorities, logistics companies and lenders. In 2008, Mr. Scavone was the Managing Director of Macquarie Capital Funds’ portfolio of terminal operating companies. From 2001 to 2008, he served in several senior executive roles for Ports America, Inc. (formerly P&O Ports North America), including Executive Vice President responsible for business development, negotiations with ocean carriers, labor relations oversight of Joint Ventures, and other aspects of the company’s many operations in North America. Prior to joining Ports America, from 1999 to 2001, he served as President, Chairman and CEO of elegant Hotels Group, a luxury resort holding company with properties in the Caribbean, and offices in the U.K. and U.S.A. Mr. Scavone has served on various Boards, including Terminales Rio de la Plata, Buenos Aires, Halterm Limited, Halifax, Fraser Surrey Docks, Vancouver, Port of Miami Terminal Operating company, Miami, Port Newark Container Terminal, New Jersey, and several others. He is also an attorney, having begun his career in the private practice of Law. Mr. Scavone received his L.L.M in taxation from New York University School of Law, his Juris Doctorate from University of Michigan School of Law, and his B.S. in accounting from Boston College.